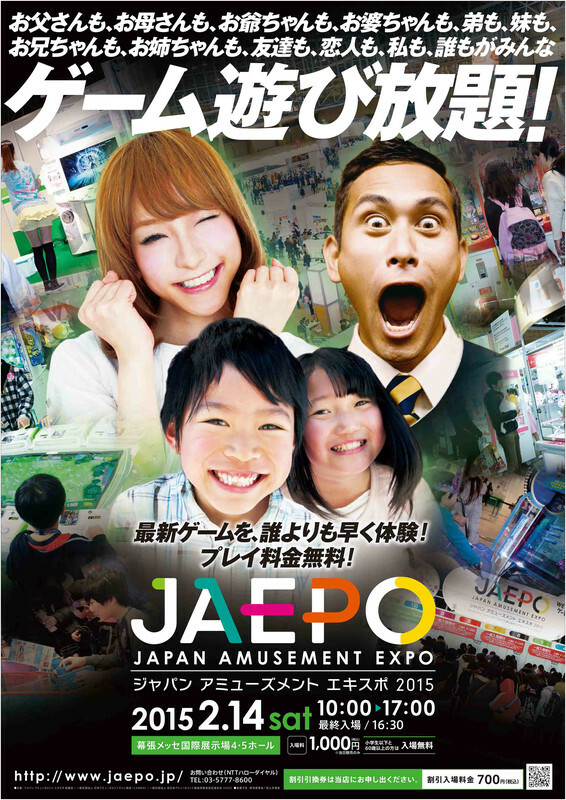 JAEPO 2015 will be held at Makuhari Messe in Chiba from February 13 (from 10:00 to 18:00) to February 14 (from 10:00 to 17:00). As usual, Sunday will be opened to the public. Le site de la JAEPO 2015 se tiendra au Makuhari Messe de Chiba du 13 février de 10h à 18h00 au 14 février de 10h à 17h00. Avec comme d'habitude le dimanche ouvert au public. - Taiko no Tatsujin: Murasaki Ver.